Just full of surprises these days, aren’t ya Mickey Dees? First came the news about McDonald’s employees getting new uniforms, and now you’re switching up the food consumption game with edible utensils? Initially we assumed this odd French fry fork was for those moments when the food is *so* damn good, you wished the fork was edible, too. Or to alleviate the extreme disappointment you feel when you thought you had some fries only to find the bottom of an empty carton staring back at you. 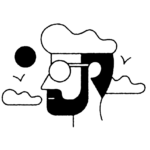 We will gladly utilize the frork for those purposes, but it was officially created for McDonald’s to promote its Signature Crafted Recipes sandwich, which comes in Maple Bacon Dijon, Pico Guacamole and Sweet BBQ Bacon flavors. 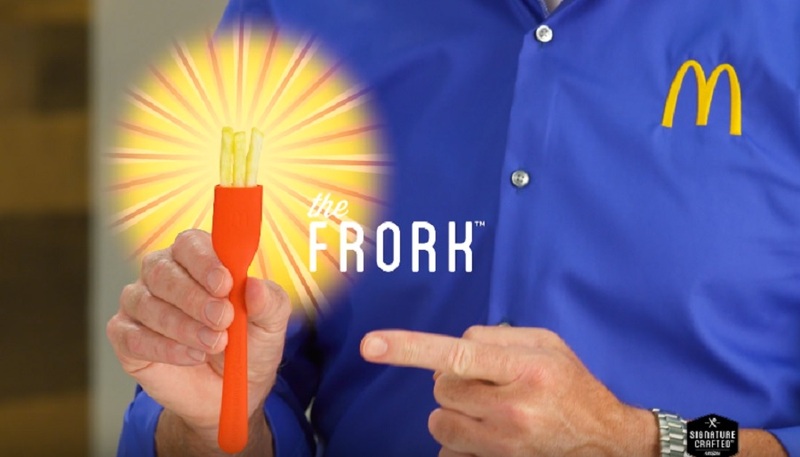 And there’s a full infomercial that demonstrates the proper way to use a frork, because how else would we figure it out? So, if you’re super excited about picking up the excessive “topping droppings” that you’d otherwise leave on your plate, or you know, use your actual fingers to pick up and eat, the frork will be available for free on May 5, with the purchase of a Signature Crafted Recipes sandwich, of course. We have our suspicions about how customers will react to this frork, but it’ll be interesting to see whether it’s as popular as McDonald’s Big Mac Sauce.